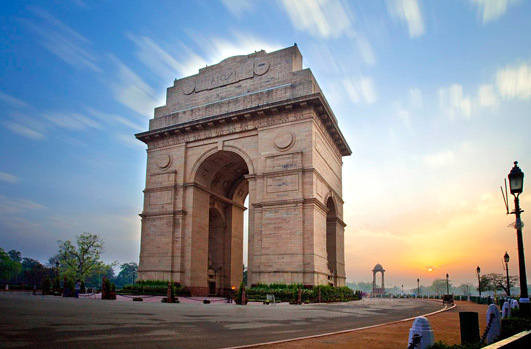 Delhi Agra Varanasi Tour Package is one of the most Popular North India Tour Package. 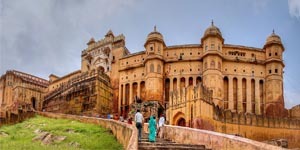 In 6 Days Delhi Agra Varanasi Tour Package we cover all the best and well known monuments of India. 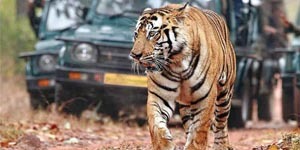 This Tour package is our best selling and mostly prefered by people visiting India first time. As Delhi Agra Varanasi Tour package cover Delhi the capital of India which is famous for its best heritage sites through out the world. Our next destination is Agra. Agra the name famous in books of world because of Taj Mahal. As we cover the sunrise and sunset view of Taj Mahal which is much appreciated by our clients. 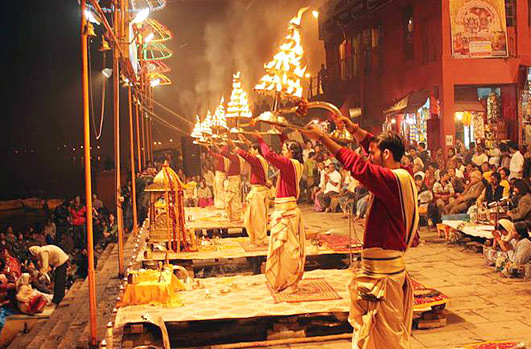 Next we cover Varanasi also known as “Religious Capital of India”. 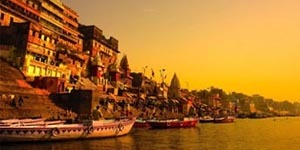 There you can enjoy the boat ride at morning and evening at holy ganges. Indian Traditional Welcome with Garlands at the Indira Gandhi International Airport (T-3) and transfer to hotel. Night stay in Delhi. Today morning drive through India Gate, President House, Parliament House and other Govt. Buildings. 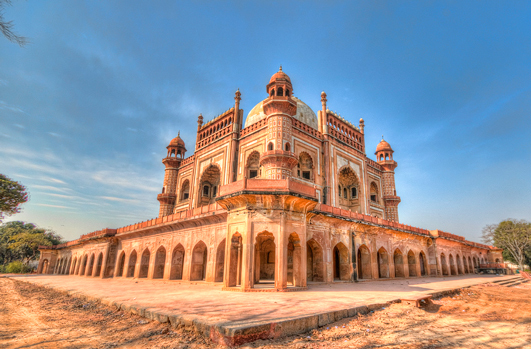 Visit Humayun’s Tomb, Lotus Temple and Qutab Minar with Tourist Guide. Afternoon visit Red Fort, Jama Masjid (Mosque) and Raj Ghat – cremation place of Mahatma Gandhi with a tourist guide. Night stay at Hotel in Delhi. Morning drive Delhi / Agra with an English speaking driver by AC Car. Reach Agra and visit: Agra Fort and Taj Mahal. 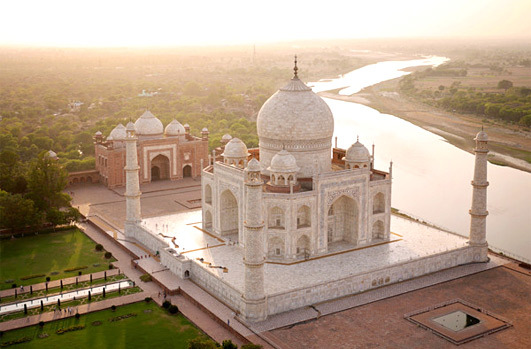 Explore the amazing beauty of Taj Mahal – The symbol of love and one of the seven wonders of world. After that there is free time for shopping at local market of Agra where you can get many traditional items at very reasonable price. Dep: Agra / Varanasi By Air Conditioned Train and Transfer to Hotel. Evening Free Time to Relax and Night Stay in Varanasi. Early morning boating in Holy Ganges. Witness sunrise and local people taking holy dip and performing morning rituals. Breakfast in hotel and relax. Later visit Vishwanath Temple, Bharat Mata Temple and Sarnath. Evening boat ride in Holy Ganges and Ganga Arti at Ghats. Which is an amazing experience. Night Stay in Varanasi. Morning free time. Transfer to airport to connect flight for Delhi. Dep: Varanasi / Delhi By Air. 2. Air-conditioned car with an English speaking tourist driver as per programme. 5. Air Conditioned Train Ticket from Agra to Varanasi. 6. Boat Ride at Varanasi. 7. Cost of Flight Ticket from Varanasi to Delhi. 4. Extra expenses such as laundry, drinks, tips, etc. 1. For 24th Dec and 31st Dec nights, Hotels may ask for mandatory Gala Dinner. If so, this will be payable extra. 2. Many hotels may ask for supplement cost during the period from 20th Dec – 07th Jan due to premium season. 5. If traveling more than two person, tour price will change accordingly. Evening Boat ride and visit Ganga Aarti.